Instead of doing my Five Things this Wednesday, I thought I would share many more things… namely the blogs I enjoy following! These blogs have served as a source of both inspiration and entertainment- namely on the days when I want to be anywhere BUT work. 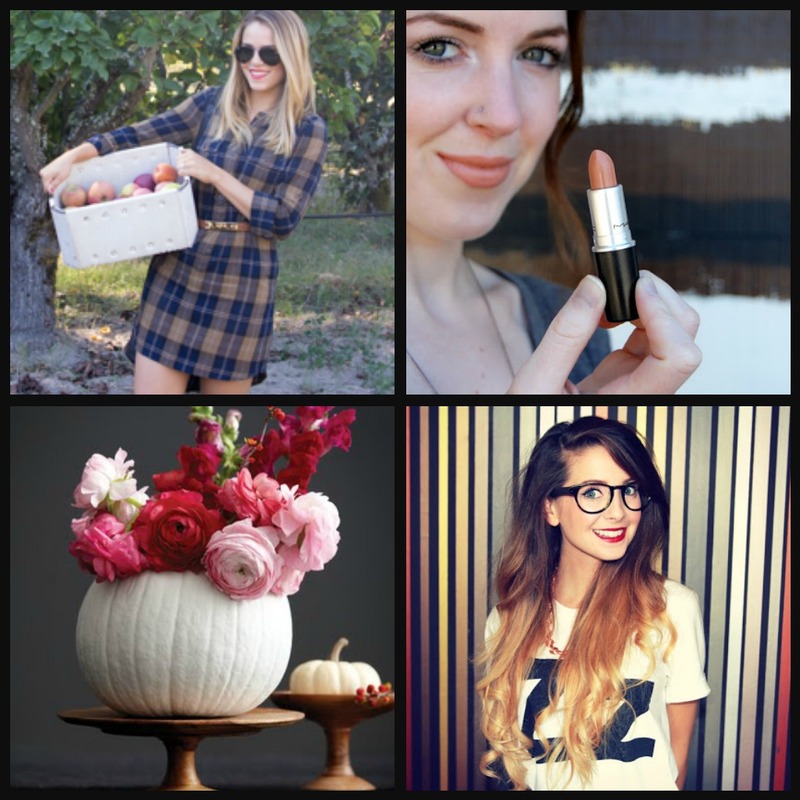 Most are fashion/lifestyle/beauty blogs, or some combination thereof, and a few have grown beyond the typical “blog” category, but I’ll include these here as well because I enjoy them so darn much. And because I can! I love that this site has “Local” options. San Francisco, LA, New York, Chicago…When in doubt of what to do with my weekends, I go here for inspiration. Find out about all the newest store openings, art exhibits, restaurants, and music festivals here. Not to mention the great local news, and street-style pics. This lovely lady is a local, and frequently makes me feel like an insufficient grown up. Everything about her is put together. I love her style, and how she features budget buys with high end pieces. Another local gal! SF Pride. Simple and edgy style, with a dose of unabashed real-life goofiness. Check out her Halloween costume video if you don’t believe me. Enviable lipstick collection. Definite girl crush. Former-magazine writer Joanna Goddard’s blog. I find more fascinating articles and links on her page than I know what to do with. It also doesn’t hurt that she happens to have two adorable little boys, that pop up on her posts often. My ombre hair inspiration. She is just too darn cute. I also thoroughly enjoy her youtube videos, and admire how open she is about her day to day life and her struggles with anxiety. 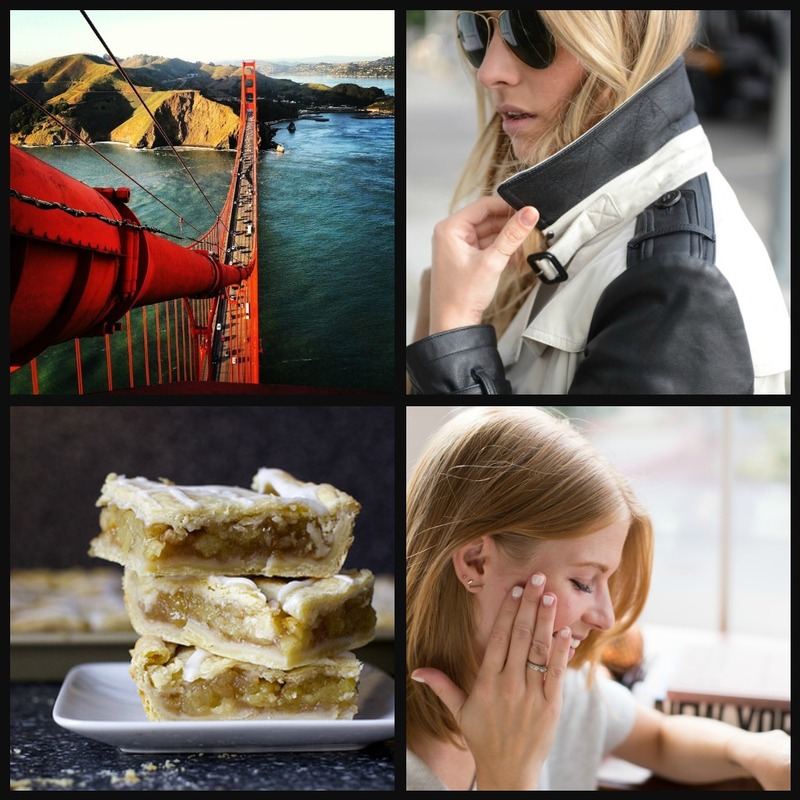 Miss Emily features some great beauty and fashion inspiration on her blog, as well as delicious recipes and links I could spend hours perusing. It’s the perfect balance of frippery and reality. I’ve found great interview tips, and of course 8 Things Every Happy Woman Should Have. I’ve mentioned how much I enjoy Smitten Kitchen on my blog before. I made my favorite soup recipe from this blog just the other day. It’s like having your own online, custom cookbook, but so much better. I’ve honestly lost track of how many recipes I’ve tried. All delicious! A new discovery, actually through Gal Meets Glam. A sister duo that blogs together. They won me over with their “Toast Talks,” and it’s eerie how much I find myself relating to Molly, who finds herself at a crossroads at the moment. Much like yours truly. Quit that corporate job, girl! Good for you! I’m sure there’s many more great blogs out there to discover, and I could frankly keep listing them all. These are the ones I find myself returning to again and again over the years, and they always brighten my day when I do. I’m also very open to suggestions, so tell me what blogs you enjoy!